Paseo Nuevo is ready for the holidays. Promising to "bring the fun back to State Street," a new shopping concept is headed to the empty former Macy's building and opens on Friday. The Santa Barbara Night Market is scheduled to open its doors at 4 p.m.
As of Wednesday evening, crews were working fast and furiously to complete setup of the pop-up booths. Organizers said they envision the "first ever European-style Night Market." The Santa Barbara Night Market plans to sell holiday-themed decor, and offer live music and food and drink. The night market will run from 4 p.m. to 10 p.m, Thursday through Sunday, every weekend through Dec. 29. "We are excited," said Ken Oplinger, president and CEO of the Chamber of Commerce. "The Night Market will draw more people downtown this holiday season, benefiting all downtown businesses. Great use of the Macy’s space, and in line with the city’s efforts to allow for “pop-up” retail." Paseo Nuevo is also offering nightly snowfall shows, twice every night, in Center Court. Snow will fall down on the mall's Christmas tree. The mall will also feature carolers. The event runs nightly from Friday through Dec. 31, with no show on Christmas Day. 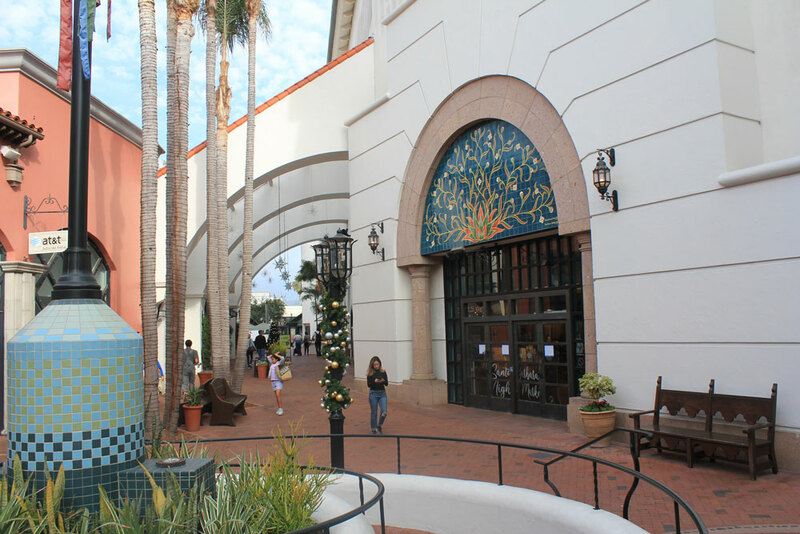 In addition, Paseo Nuevo will feature "Silent Night" from 5:30 to 7:30 p.m., Nov. 29. The event includes a silent disco holiday dance party. The mall is asking people to wear their ugliest sweater and "be prepared to dance and sing-a-long to your favorite holiday tunes through headphones." The mall will offer headsets, but encourages people to come early to get theirs. The day after Thanksgiving also marks Black Friday. Paseo Nuevo will open early, at 7 a.m.